A prison is a place where criminals and killers are detained. It sounds odd when we say that it is also a place to complete your studies. Although it sounds weird, we have recorded instances where the above mentioned fact has come true. During an interview with The Daily Mirror, Superintendent of the Welikada Prison Chandana Ekanayake said that Indika Bamunusinghe, serving a life imprisonment after being sentenced to death, had graduated in his Bachelor of Arts (B.A.) degree programme in Social Sciences from the University of Sri Jayewardenepura. At present he hopes to read for a Masters Degree (M.A.) in Social Sciences at the University of Kelaniya. The request made by this inmate to allow him to register with the Faculty of Social Sciences at the University of Kelaniya to commence his masters programme was endorsed by the Commissioner General of Prisons Nishantha Dhanasinghe. Bamunusinghe’s education, while serving his prison sentence, will be supervised by Ekanayake. “With reference to the conditions raised by the Commissioner General of Prisons, he isn’t permitted to attend lectures conducted at the university, but he will be provided with lecture notes and the opportunity to listen to lecture recordings in the prison itself,” Ekanayake said. The faculty of Social Sciences at the University of Kelaniya has decided to conduct entrance exams from October 29 to December 09 for M.A. hopefuls. Bamunusinghe will attempt qualification at an exam conducted at a separate examination centre in the Welikada Prison premises. 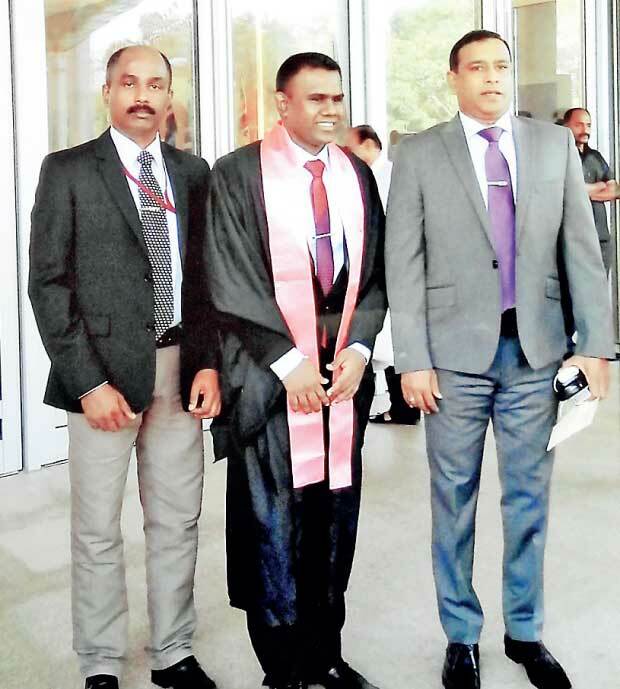 Bamunusinghe said that he was delighted to complete his B.A. and added that was expecting to read for his masters, thanks to the permission he has received for this task from the Welikada Prison authorities. “It is my humble desire since childhood to graduate as a degree holder. However, I couldn’t complete the degree at the due age owing to some allegations levelled against me. But I am satisfied that I was able to complete my B.A. at the age of 30 while still being in prison. Now I am 32. I will never lose my grip. But I am a little disappointed when I reflect on the state that I am in now. I am determined to continue with my studies regardless of the hardships I encounter,” Bamunusinghe said. He mentioned that many people had insulted and mocked at him querying as to how an individual behind bars could think of succeeding at a Masters degree. It is amazing to see him face this challenge with great fortitude and pursue his goal in education. “All the facilities required by the inmate to follow his studies would be provided for within the prison. He will also be assisted by a former university lecturer who is also an inmate,” the Superintendent of the Prison said. “This marks the first occasion in the history of the prison when an inmate sits for a qualification exam with the aim of reading for a Masters. Therefore, it is a rare privilege for the inmate and also the prison. We salute him and wish him well for all his endeavors. I should mention that this person has taught us a good lesson which is, “Strive hard to achieve your goals irrespective of whatever condition you are in,” Ekanayake opined. Students at any level should appreciate the commitment and dedication shown by Bamunusinghe. This is largely because this inmate has the minimum facilities to study for his examinations, given the state he is in now. Prison officials must be lauded for granting Bamunusinghe permission to pursue his studies. “We all harbour hopes in our lives. Courage and perseverance are required to attain them. I went through plenty of anxiety during my life’s journey, but I didn’t allow such conditions to distract nor discourage me,” Bamunusinghe said. Ekanayake told The that an examination centre was also established within the prison for inmates who aspired to sit for the Dharmacharya Examination. 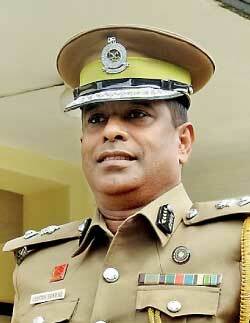 “Four inmates sat for the exam on October 30 and they were provided with adequate facilities,” Ekanayake added. Ekanayake added that those two happenings had motivated and provided inmates with the necessary incentive to rethink about education and continue from where they had stopped. Besides, he said that twenty inmates have got through their English Language at the Ordinary Level Examination held in 2016. “Accordingly, eleven inmates have succeeded in obtaining a simple pass (S), a ‘B’ pass and ‘C’ passes at exams. It should be noted that these candidates didn’t enjoy the opportunity to be taught by highly qualified teachers. They were taught by the inmates in the prison who could mange with the English they knew,” he added. The courage, enthusiasm and passion that these inmates have displayed regarding their studies must be commended. They should be further encouraged to recover from the state they are in now and look forward to life. We can’t judge a person by his or her appearance. Intentions and attitudes direct individuals to where they should head.